The city has become a staple of sports and recreation in Western Michigan, where visitors have the chance to enjoy a variety of activities any time of the year. Need a reason to visit Muskegon? Well, you’re in luck—there are plenty of reasons to trek on over to beautiful Muskegon, Michigan. Beyond a host of great attractions, the city is a combination of stunning Lake Michigan shoreline and honest Midwestern values. 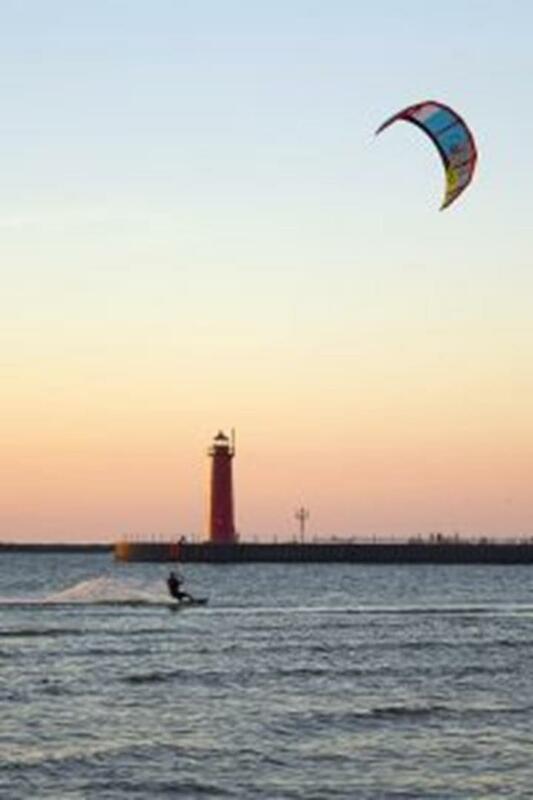 With a relaxed atmosphere that allows visitors to escape from the hustle and bustle of daily life, Muskegon can best be described as a four-season playground where kids and adults alike have the opportunity to enjoy themselves. Whether it is December or June, under the sun or atop mounds of fresh snow, there’s no better way to experience Michigan than in Muskegon. The city, historic and well-kept, continues to shine as one of the finest towns on the banks of Lake Michigan. Muskegon offers diversity in its activities and possibilities, something that many locations cannot claim. The city is home to a 100-year-old baseball stadium, a state-of-the-art multi-use sports complex and one of the nicest country clubs in all of Western Michigan. In addition to these shiny facilities, Muskegon boasts a natural appeal that makes both tourists and residents want to hike the trails of Owasippe Scout Reservation or kayak on Muskegon Lake. Who could resist a peaceful fishing trip down the White River or a game of sand volleyball on Pere Marquette Beach? All in all, there’s a lot of fun to be had in the city of Muskegon. Are you ready for the adventure? At Hero Mud Run we wanted to focus on bringing something community-focused and positive to Muskegon. We wanted something unique and fun that promotes health and wellness. Muskegon is very supportive in local events and it’s evident with all of the encouragement we have seen in our event. Thousands of hours are put into organizing an event like ours and the positive feedback from our participants makes it all worth it. None of this would have been possible without the community’s support. 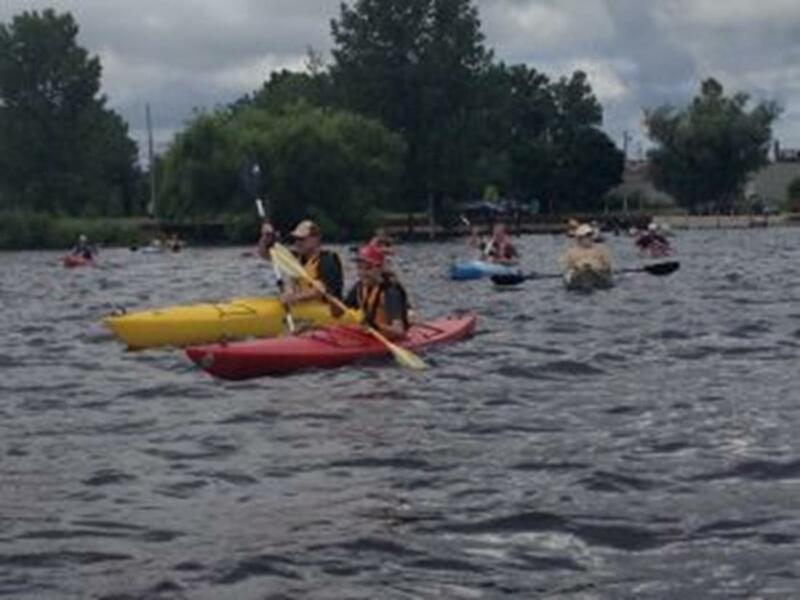 Whether you are looking to host a junior Optimist-Pram event or a Great Lakes 70 regatta, Muskegon Lake can accommodate it all. The dunes of Lake Michigan provide protection that allows for flat water and high winds which are ideal conditions for sailing. The race course is just a few minutes away from the dock. The lake is big enough so that it doesn’t get congested with the other boat traffic. If for some reason there isn’t any wind on Muskegon Lake you can head out to Lake Michigan to race. Muskegon Lake has the capacity to host many boats at its various marinas. Its deep water and protection make it an ideal place for bigger boats to take rest from their cruise up or down the coast. In my opinion, Muskegon Lake is the best sailing arena in the Midwest! Muskegon has what it takes to accommodate any type of event. I’ve planned and organized events for 37 years and have always had success working with Muskegon hotels, supply vendors and service providers. Currently, I am race director for the Mercy Health Seaway Run and Lake Michigan Half Marathon. This event celebrates its 35th anniversary in 2016. But the Lake Michigan Half Marathon is only in its fourth year. Over those four years this race has become a destination event. Over 67% of the 2015 Half Marathon runners were from outside of west Michigan. These folks found accommodations, had a great experience and ran what is now officially the most scenic road course for runners in Michigan. Muskegon has it all! Owasippe Scout Reservation boasts a variety of fun, enriching activities on 4,800 acres of wilderness. Some of these activities include biking along 23 miles of Michigan’s top-rated trails and canoeing down the beautiful White River. Since 1912, Owasippe has been highlighting the wonderful prospects for outdoor adventure in Muskegon County. Constructed in 1960, this multi-use facility is home to the Muskegon Lumberjacks of the United States Hockey League and West Michigan Ironmen of American Indoor Football. 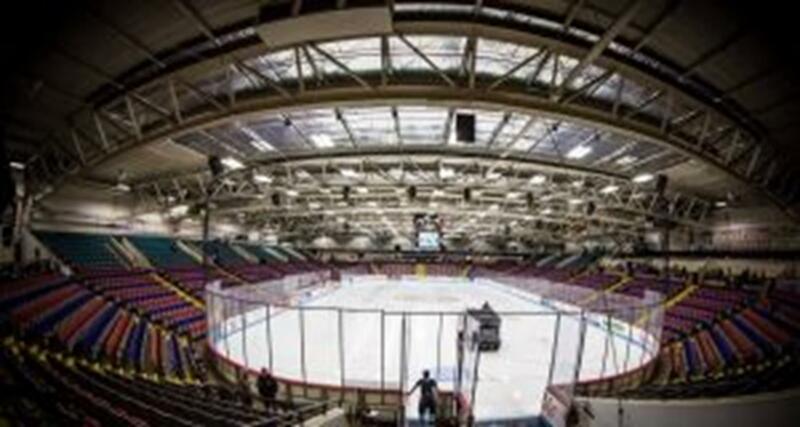 Though Walker Arena has proven its worth as a site for a plethora of sporting events, it also hosts concerts, trade shows and conventions. With room for 5,100 spectators and 17,000 square feet of floor space, the complex has proven valuable as a hot spot for many of Muskegon’s finest events. This summer, the venue has penciled in a Tattoo and Arts Expo and a Rodney Atkins concert. A prime location for hockey tournaments, soccer matches and skating lessons, Lakeshore Sports Center has been one of Michigan’s premier indoor athletic facilities since its inception in 1998. The complex boasts two ice sheets and an indoor soccer field, both open year round. While most people enjoy open skating, Lakeshore also hosts ice hockey leagues, camps and clinics for players with a variety of skillsets. With a snack bar and easy parking on site, this venue has become one of Muskegon’s finest attractions. Jot down a list of all the winter recreational activities you can imagine—it’s likely that a majority of them are featured at Muskegon Winter Sports Complex. Located on the shores of Lake Michigan, this venue is one of the finest of its kind in Western Michigan. 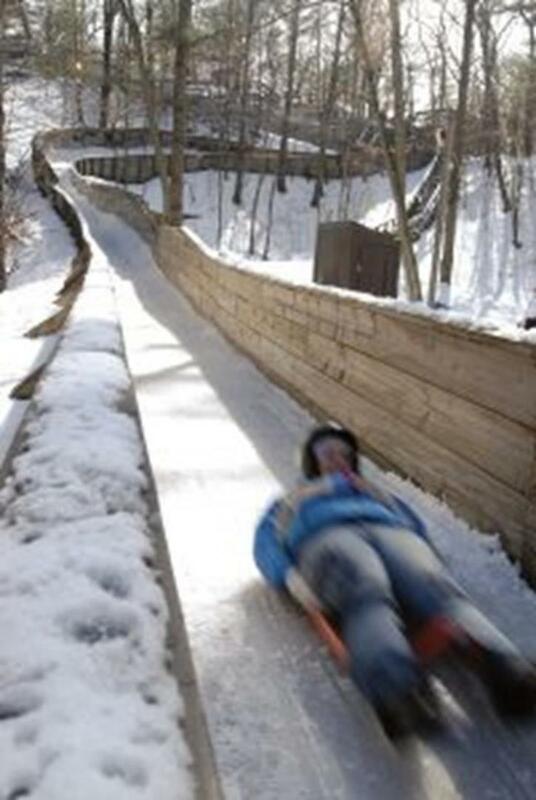 It boasts one of only three luge tracks in the United States, while also offering three ice skating rinks and 7.5 kilometers of lighted trails for cross-country skiing. Complete with a heated sports lodge, Muskegon Sports Complex can simply be described as a winter wonderland. People have been visiting the historic and well-kept Marsh Field since 1916. 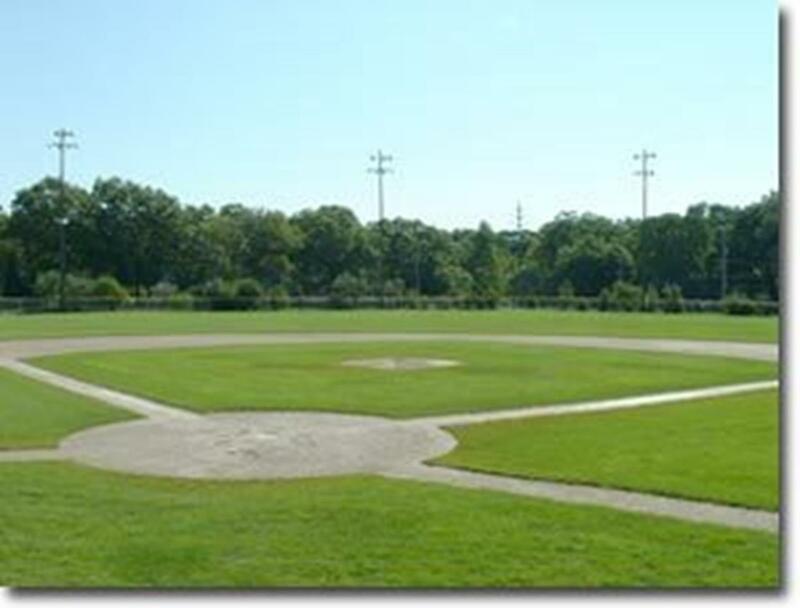 A staple of baseball in the city of Muskegon, the ballpark has hosted countless games played by the Muskegon Clippers, the Detroit Tigers and a number of high school, collegiate and adult league contests. As Marsh Field celebrates its centennial in 2016, it is excited to welcome visitors and continue a tradition of baseball and fun times as one of Michigan’s oldest sports stadiums. 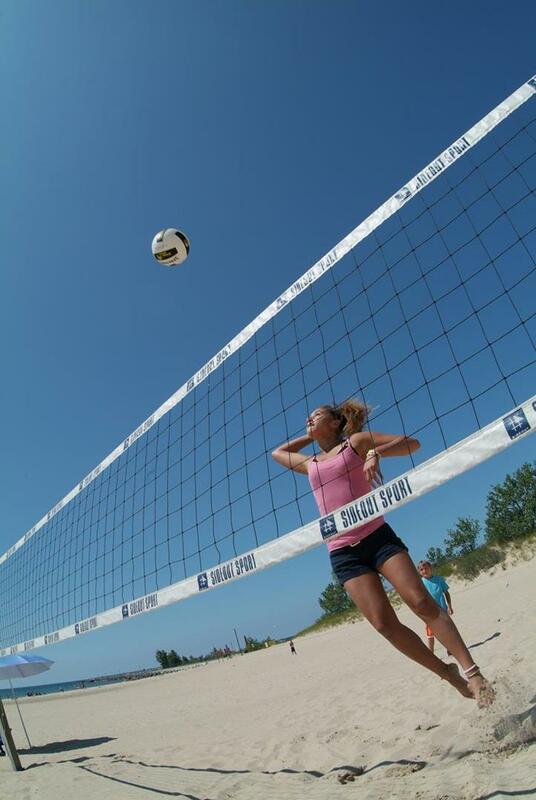 Pere Marquette Beach sits on the shores of Lake Michigan and consists of 27.5 acres and 40 beach volleyball courts. Visitors can play games of sand volleyball and sand soccer. However, the list of advantages to visiting the beach doesn’t end with its size. The site offers a restaurant, playground and access to lighthouses, while a special dog beach is only one block away. There is no entrance fee, making Pere Marquette Beach a prime location for a relaxing day on the water. A golfer’s dream, Muskegon Country Club spans 130 manicured acres and offers the kind of experience that one would expect when playing on a course designed by legendary architect Donald Ross. The club was founded in 1908, giving it a classic feel that you can’t find at most “state-of-the-art” resorts and country clubs. Muskegon Country Club has hosted a variety of tournaments, including the 2005 and 2015 Golf Association of Michigan Amateur Championships, and offers golfers top-notch amenities like the multiple restaurants, a pool and many activities for the whole family to enjoy. This 4,150-acre body of water played an important role in the development of Muskegon, and it continues to help the city grow in the present day. A plethora of activities make spending time on or along the lake memorable, including recreational sailing and boating, fishing for king salmon, brown trout and perch, and other outdoor ventures like camping, concerts and festivals. Anyone visiting Muskegon should put the lake, which also has channel access to Lake Michigan, at the top of their to-do list. Muskegon enjoys a great location—along the shores of Lake Michigan, 180 miles northeast of Chicago and 190 miles west of Detroit. By Car: Take I-96 or US-31—both lead straight into the city and make transportation as easy as ever. By Air: The Muskegon County Airport (MKG) in nearby Norton Shores, is a full service commercial airport with daily United Express service from Chicago O’Hare International.